WASHINGTON - When Democrats took control of the House in Tuesday’s midterm elections, two things were certain: President Trump’s remaining legislative agenda is dead, and the chamber’s Judiciary Committee is ready to combat any White House attempt to meddle in or obstruct special counsel Robert S. Mueller’s investigation into Russia’s interference in the 2016 presidential election. Few if any House Democrats were publicly using the “I” word after the Republicans’ devastating political losses in what the Founding Fathers called “the people’s house.” But the threat of impeachment was now on the minds of many Democrats after Trump fired Attorney General Jeff Sessions on Wednesday, replacing him with Matthew Whitaker, as acting attorney general, who was Sessions’ chief of staff who has been sharply critical of Mueller’s investigation. More important for the president, Whitaker “would assume final decision-making authority over the special counsel probe instead of Deputy Attorney General Rod J. Rosenstein,” the Post said. Rosenstein has, until now, overseen the investigation and given Mueller the support he needs. That appears to be coming to an end now that Whitaker has entirely taken over that role. No sooner had Trump announced that Whitaker was in charge at Justice, than rank and file House Democrats began setting off alarm bells, saying that is was a clear attempt to shackle Mueller’s investigation. “Congress must now investigate the real reason for this termination, confirm that…Whitaker is recused from all aspects of the Special Counsel’s probe, and ensure that the Department of Justice safeguards the integrity of the Mueller investigation,” said Rep. Elijah E. Cummings of Maryland, the ranking Democrat on the House Oversight Committee. “The whole issue of presidential harassment is interesting,” McConnell told reporters, when asked what Senate Republicans would do if Democrats attempted to obtain Trump’s tax return. “I remember when we tried it in the late ‘90s. We impeached President Clinton. His numbers went up and ours went down, and we underperformed in the next election,” he said. 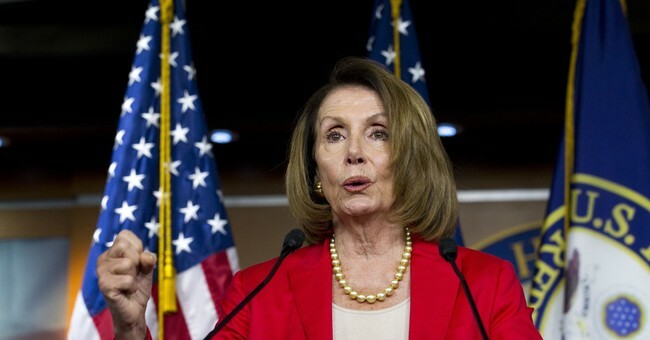 In a little less than two months, the Democrats will be in charge of the House, Nancy Pelosi will be speaker and wielding a heavy gavel, and Trump will still be their arch-enemy. “There is no mistaking what this means, and what is at stake: this is a constitutionally perilous moment for our country and for the President,” Rep. Jerrold Nadler of New York said in a statement. He’s set to become the chairman of the House Judiciary Committee that would conduct any impeachment proceedings, if it comes to that.